Birth circa 1837 Charles Thomas Malpas was born circa 1837 at EnglandG. He was the son of Charles Malpas and Elizabeth Gibbs. Marriage 12 May 1862 Charles Thomas Malpas married Mary Ann Pettiford, daughter of Richard Pettiford and Sarah Loney, on Monday, 12 May 1862 at Episcopal Church, Dunedin, New ZealandG. The Minister was Edward G Edwards and the witnesses were Sarah Pettifor of Dunedin and Henry Munyard, a printer of Dunedin. Death 20 August 1878 Charles Thomas Malpas died on Tuesday, 20 August 1878 at Terry Street, Balmain, NSW, AustraliaG. Occupation 12 May 1862 Charles Thomas Malpas was a tinsmith on 12 May 1862 at Dunedin, New ZealandG. 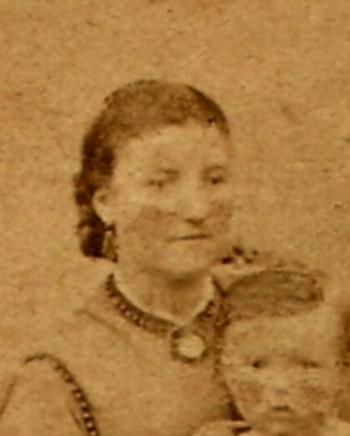 Birth circa 1846 Mary Ann Pettiford was born circa 1846 at Lambeth, London, EnglandG. She was the daughter of Richard Pettiford and Sarah Loney. Marriage 12 May 1862 Mary Ann Pettiford married Charles Thomas Malpas, son of Charles Malpas and Elizabeth Gibbs, on Monday, 12 May 1862 at Episcopal Church, Dunedin, New ZealandG. The Minister was Edward G Edwards and the witnesses were Sarah Pettifor of Dunedin and Henry Munyard, a printer of Dunedin. Death 5 July 1926 Mary Ann Pettiford died on Monday, 5 July 1926 at Tulagai Flats, Alfred Street, North Sydney, NSW, AustraliaG. Married Name 1862 As of 12 May 1862, her married name was Malpas. circa July 1852 Mary Ann Pettiford travelled with her parents Richard Pettiford and Sarah Loney from New ZealandG circa July 1852 and arrived in Australia later in 1852. Her brothers, Richard Henry Pettiford and William Pettiford, were also with them. Birth 1742 Elizabeth Clayton was born in 1742 at Theydon Garnon, Essex, EnglandG. 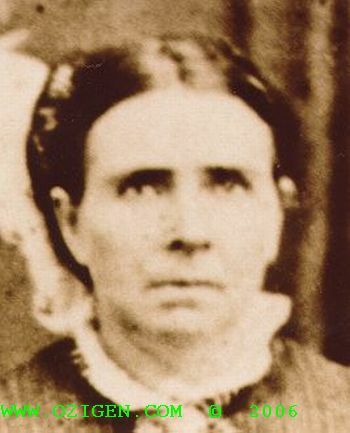 She was the daughter of Edward Clayton and Martha Cook. Baptism 15 December 1742 Elizabeth Clayton was baptized on Saturday, 15 December 1742 at Castleton, Derbyshire, EnglandG. Marriage 10 October 1777 Elizabeth was married to Samuel James, son of Samuel James and Mary Sell, on Friday, 10 October 1777 at All Saints Church, Theydon Garnon, Essex, EnglandG. Death 6 September 1828 Elizabeth Clayton died on Saturday, 6 September 1828 at Theydon Garnon, EssexG. Burial 7 September 1828 She was buried on 7 September 1828 at Theydon Garnon, EssexG. Married Name 1777 As of 10 October 1777, her married name was James. [S370] Thomas Beach, "A Thomas James Family Chart," e-mail to Robert Mote, 6 June 2003. Death Ursula Hirst died at EnglandG. Marriage 12 April 1787 Ursula was married to Daniel Aspland, son of William Aspland and Anne Taylor, on Thursday, 12 April 1787 at Holy Trinity Church, Ely, Cambridgeshire, EnglandG. Married Name 1787 As of 12 April 1787, her married name was Ursula Aspland. Birth Alice Dawson was born at EnglandG. Marriage Alice was married to ? Poole. Death after 1871 Alice Dawson died after 1871 at EnglandG. Married Name Her married name was Poole. [S587] 1871 Cambridgeshire Census, online www.thegenealogist.co.uk. Birth 1761 Margaret Unknown was born in 1761 at EnglandG. Marriage circa 1783 Margaret was married to Thomas Martin circa 1783 at EnglandG. Death 15 February 1839 Margaret Unknown died on Friday, 15 February 1839 at EnglandG. [S40] Carol Noble, "Aspland Ancestry," e-mail to Robert Mote. Birth circa 1834 Ellen Davies was born circa 1834 at Claughton, Cheshire, EnglandG, based on her age of 17 in the 1851 census. 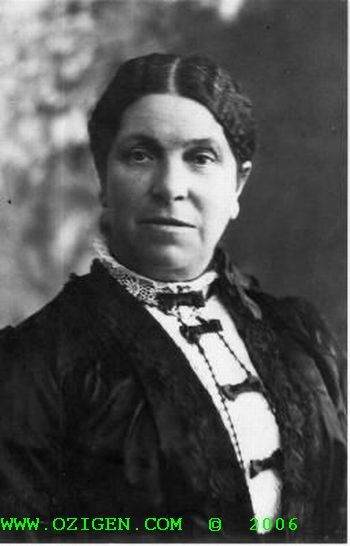 She was the daughter of John Davies and Alice Smith. Marriage 28 January 1855 Ellen was married to John H Mutch, son of Robert Mutch and Hannah Jordan, on Sunday, 28 January 1855 at Parish Church, Bidston, Cheshire, EnglandG. The witnesses were James Russell and Elizabeth Davies. Married Name 1855 As of 28 January 1855, her married name was Mutch. 2 July 1858 Ellen Davies was a passenger aboard The Ship Golconda which sailed from Liverpool, Lancashire, EnglandG, on Friday, 2 July 1858 and arrived at Sydney on 21 October 1858, a voyage of 111 days. The Captain was George Kerr and the Surgeon was John Carleton Bury. 1851 Upton Road, Claughton, Cheshire, EnglandG Ellen Davies appeared on the census of 1851 in the household of John Davies and Alice Smith at Upton Road, Claughton, Cheshire, EnglandG. Occupation 1851 Ellen Davies was a servant in 1851. [S2] Index of BDM records, NSW BDM, Place of Registration: Cootamundra; Year: 1900; Number: 1095. [S106] Death Certificate, for Ellen Gledhill, Robert Mote, 1 Ringrose Crescent, Isaacs, ACT, Australia. She was the daughter of John Henry Sheather and Ann Ingram. Death 21 July 1918 Ellen Sheather died on Sunday, 21 July 1918 at Cootamundra, NSW, AustraliaG, at age 71. Burial 22 July 1918 She was buried on 22 July 1918 at the Methodist Cemetery, Cootamundra, NSW, AustraliaG. Old friends of the esteemed pair of pioneers in this district, Mr and Mrs Charlie Loiterton, will be sorry to learn of the break in their life partnership. Mrs Loiterton, after lingering some time, passed away peacefully on Saturday, at the ripe old age of 72. The interment took place this afternoon, in the Methodist cemetery, the Rev. J J Willings officiating in the absence of the Rev. W Deane. Forty or more years ago Mr and Mrs Loiterton settled at west Jindalee, on the farm now being worked by their son William, and it is only a few years since they built themselves a home in Cootamundra, in Justin street. The other members of the family are Messrs. Charlie Loiterton, East Jindalee; James, Stockinbingal; Jack, Mount Hope, Stockinbingal; Mrs A Armstrong; Mrs Bob Mutch; Mrs Tom Mutch; and Mrs Cranfield, all of Cootamundra; Mrs Lyons, Parramatta; and Mrs Tom Manning. Messrs. Steve and Ike Sheathers are brothers of deceased. The late Sam Sheather was also a brother. [S2] Index of BDM records, NSW BDM, Denomination: Church of England, Parish: Berrima; Bong Bong; Sutton Forest; All Saints (Co. Camden), Volume Reference: V18461653 31A. [S2] Index of BDM records, NSW BDM, Place of Marriage Registration: Camden, Registration Year: 1861, Registration Number: 1550. [S22] Ian Douglas Loiterton, A Loiterton History, page 52. Birth 1968 Tyson Bennett was born in 1968 at Melbourne, VIC, AustraliaG. Death 9 January 1980 He died on Wednesday, 9 January 1980 at Melbourne, VICG.